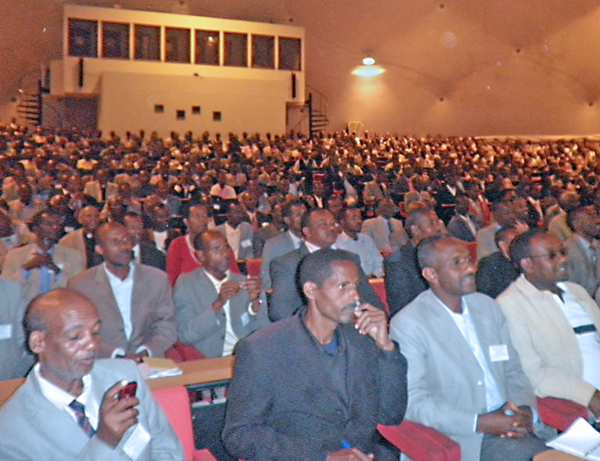 ADDIS ABABA, Ethiopia – The first day of the Ethiopian Evangelical Mekane Yesus Church’s (EEMYC) Theological Conference was attended by easily more than 2,500 pastors, including Lutheran delegations from North America, Europe and African countries. This conference is the first of its kind in the EEMYC and is focusing on areas such as the biblical foundations for church, ministry and mission and practical aspects of mission. 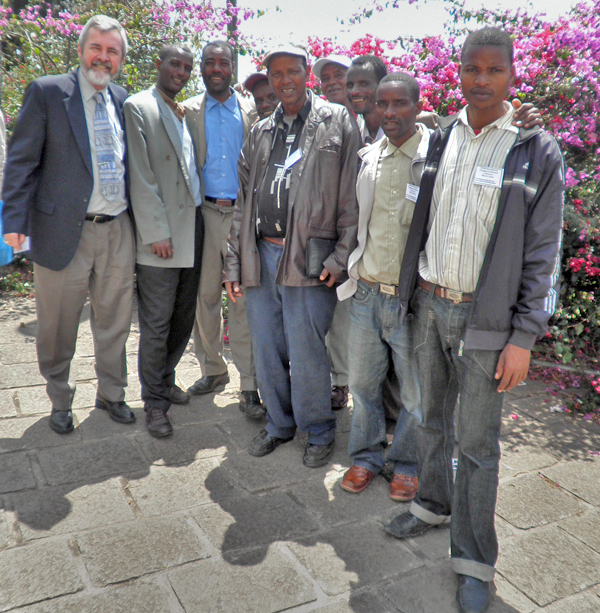 The Lutherans in Ethiopia are vibrant in their worship, fellowship and interaction with all people, regardless of country, language and cultural background. The are also committed and bold in their stand on the Holy Scripture and on the Lutheran teaching and confession. We see they are deeply disturbed and challenged by the decisions of the Evangelical Lutheran Church in America (ELCA) on homosexuality. During the conference they reaffirmed, by repeating several times in the audience, the Solas or Alones of the Lutheran Church’s theology – Christ Alone, Scripture Alone, Grace Alone and Faith Alone. The Lutheran Church in Ethiopia, from what I have seen, is clear in its confession about God’s call to mission and ministry as well as about God’s goal for the Lutheran Church’s mission in Africa and around the world. Praise God for such a vision!